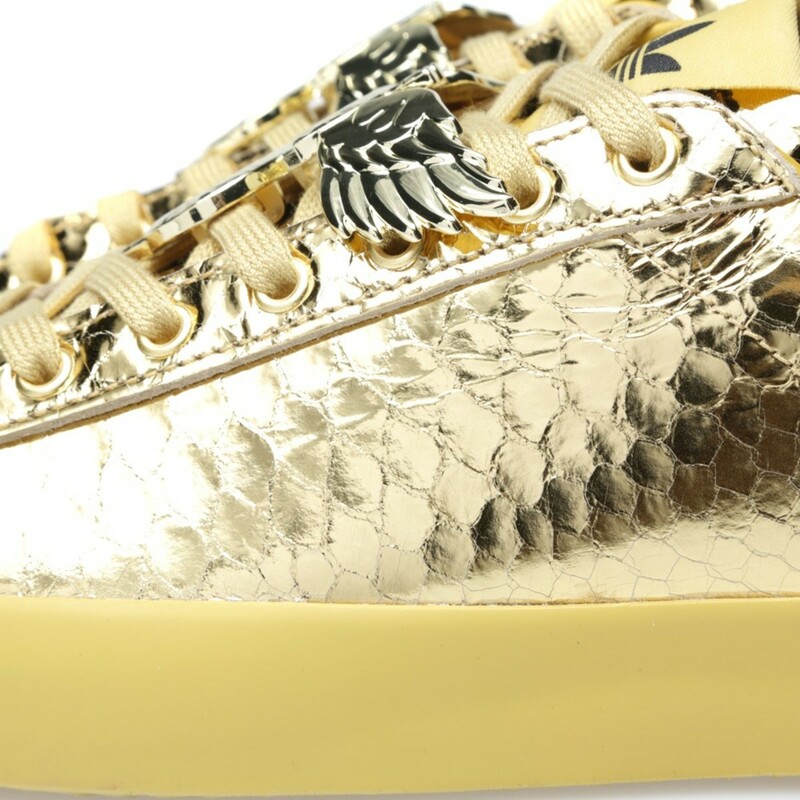 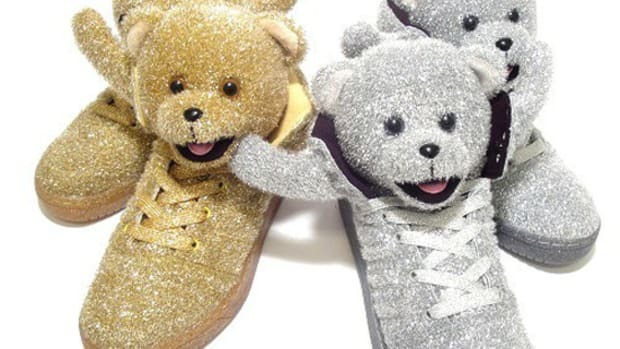 The leather upper embossed with reptilian pattern came first, follow by an embellishment of metallic gold foil with enough "bling factor" to outshine Mr. T&apos;s chains, the adidas Originals by Jeremy Scott JS Rod Laver is Jeremy Scott&apos;s way of pushing the limited of ostentatiousness. 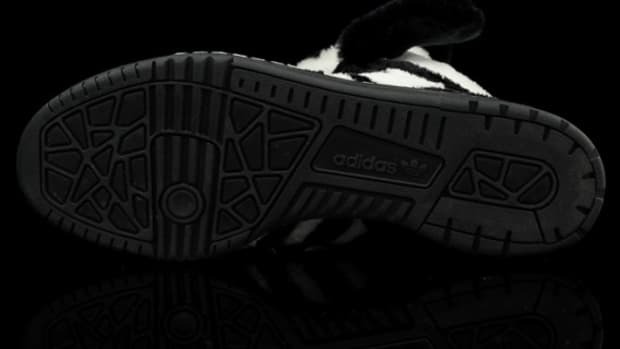 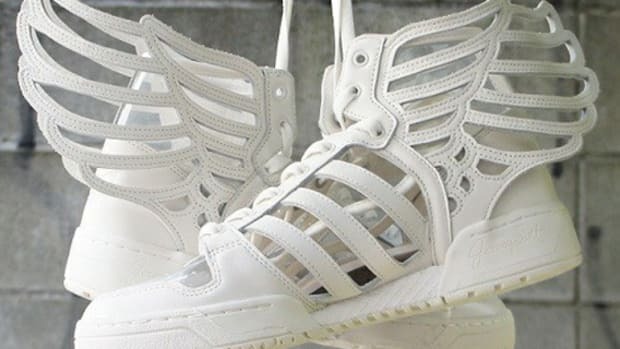 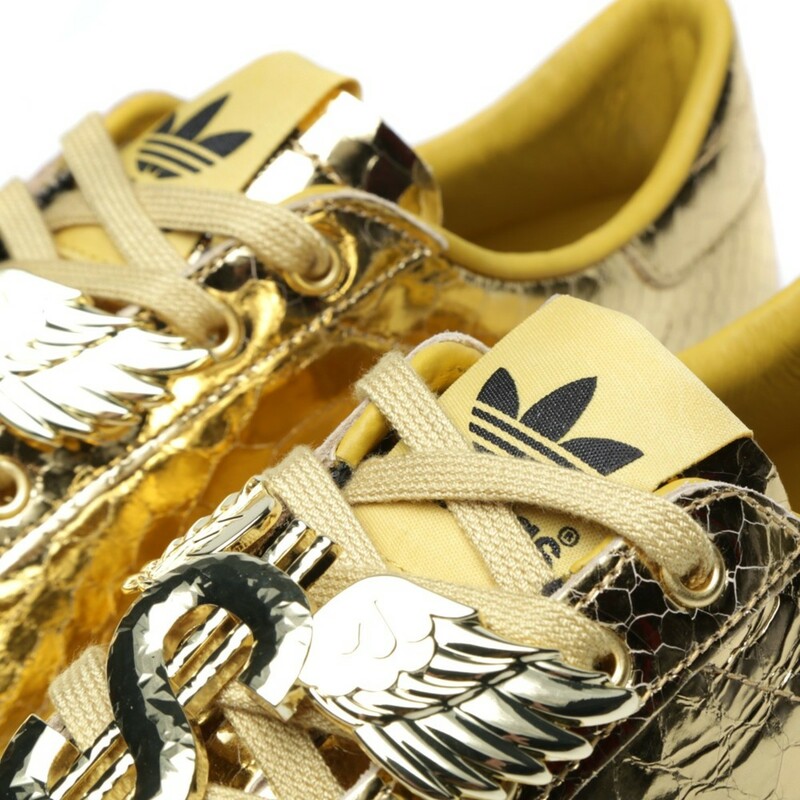 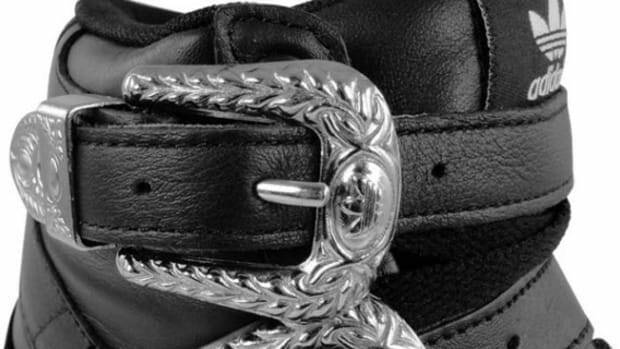 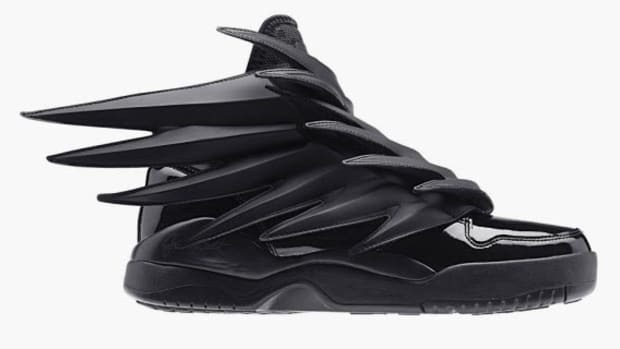 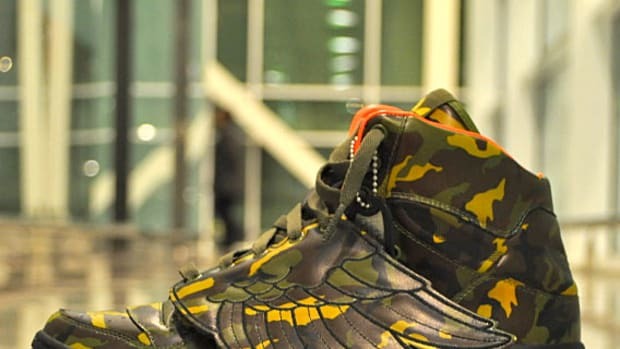 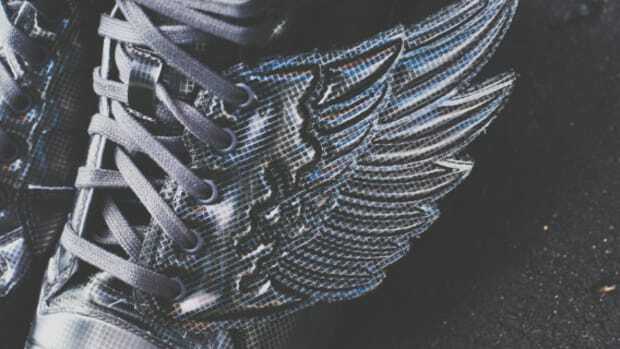 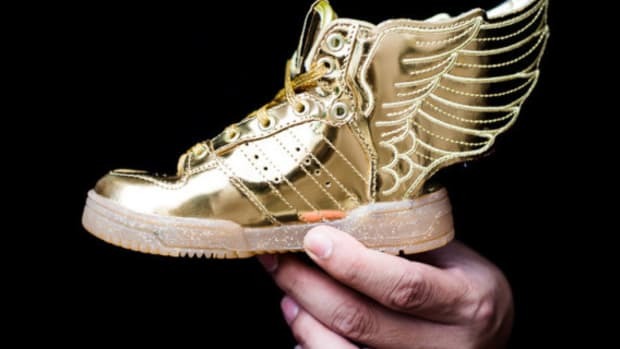 Like his other adidas Originals by Jeremy Scott designs, the bad boy of fashion added a Winged S lace lock as his signature. 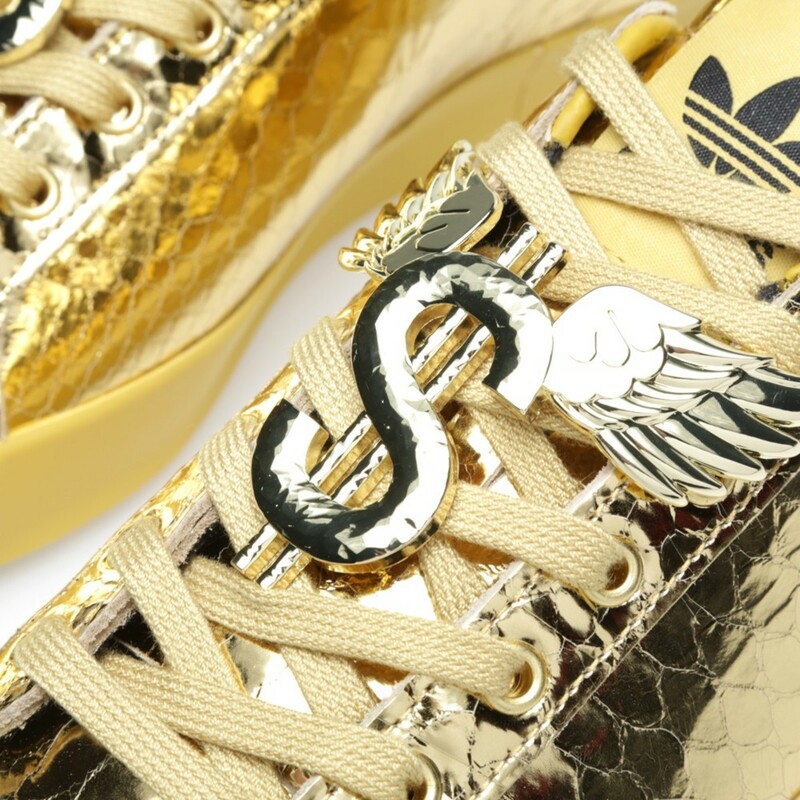 adidas Originals by Jeremy Scott JS Rod Laver is available now at UK&apos;s end clothing boutique.